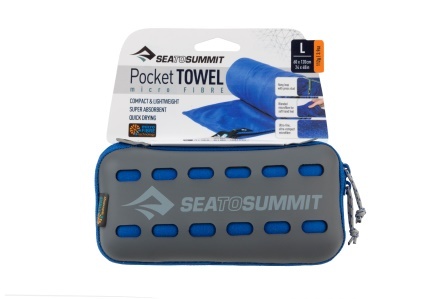 The Pocket Towel is the lightest and most compact towel that Sea to Summit make. You will be amazed at both the tiny packed size and the fact that this material will absorb more than three times its own weight in water. 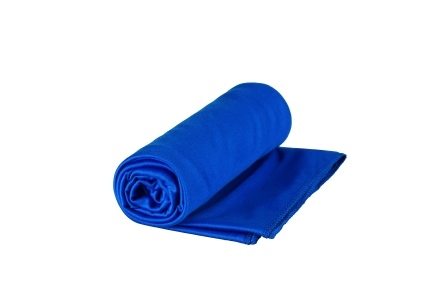 The knit used for Pocket Towel is very light, making it soft and silky to touch. The Pocket Towel is the fastest drying towel in their range – just wring it out and use it again.